Within the realm of physics, there are certain barriers that human beings have come to recognize. The most well-known is the speed of light, the maximum speed at which all conventional matter and all forms of information in the Universe can travel. This is a barrier that humanity may never be able to push past, mainly because doing so violate one of the most fundamental laws of physics – Einstein’s Theory of General Relativity. But what about the speed of sound? This is another barrier in physics, but one which humanity has been able to break (several times over in fact). And when it comes to breaking this barrier, scientists use what is known as a Mach Number to represent the flow boundary past the local speed of sound. In other words, pushing past the sound barrier is defined as Mach 1. So how fast do you have to be going to do that? When we hear the term Mach 1 it is easy to assume it is the speed of sound through Earth’s atmosphere. However this term is more loaded than you might think. The truth is that a Mach Number is a ratio rather than an actual direct measurement of speed. And this ratio is due to the fact that the speed of sound varies from one location to the next, owing to differences in temperature and air density. 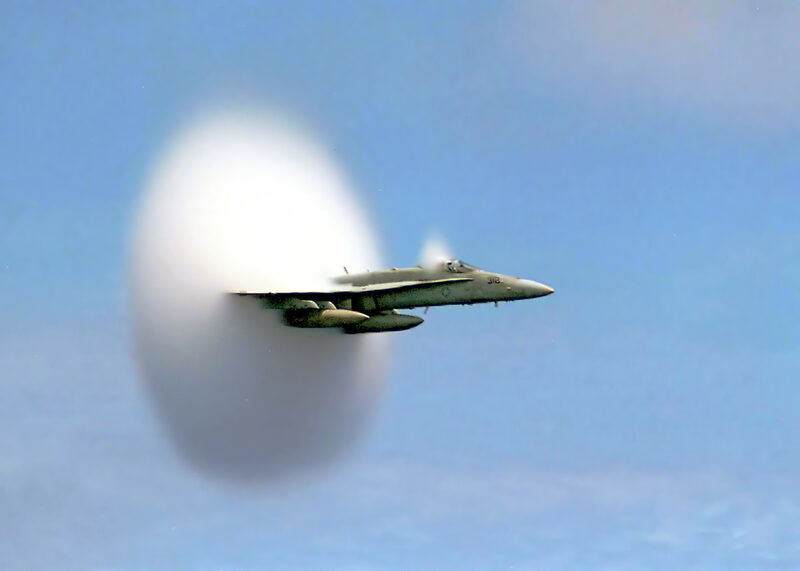 When the speed of sound is broken, this results in what is known as a “sonic boom”. This is the loud, cracking sound that is associated with the shock waves that are created by an object traveling faster than the local speed of sound. Examples range an aircraft breaking the sound barrier to miniature booms caused by bullets flying by, or the crack of a bullwhip. As with most ratios, there are approximations and categories that are used to measure the speed of the object in relation to the sound barrier. This gives us the categories of subsonic, transonic, supersonic, and hypersonic. This categorization system is often used to classify aircraft or spacecraft, the minimum requirement being that most of the craft classified have the ability to approach or exceed the speed of sound. For aircraft or any object that flies at a speed below the sound barrier, the classification of subsonic applies. This category includes most commuter jets and small commercial aircraft, though some exceptions have been noted (i.e. supersonic commercial jets like the Concorde). Since these craft never meet or exceed the speed of sound, they will have a Mach number that is less than one and therefore expressed in decimal form – i.e. less than Mach 0.8 (273 m/s; 980 km/h; 609 mph). 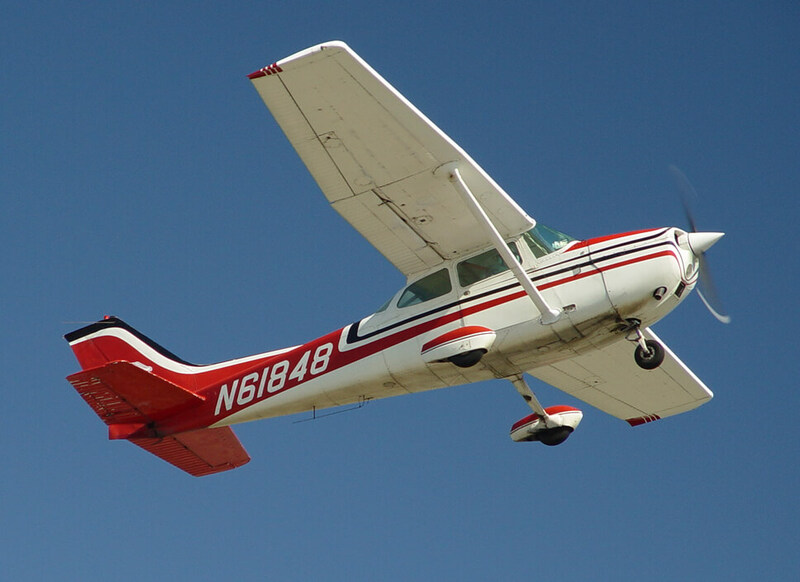 Typically, these aircraft are propeller-driven and tend to have high aspect-ratio (slender) wings and rounded features. The designation of transonic applies to a condition of flight where a range of airflow velocities exist around and past the aircraft. These speeds are concurrently below, at, and above the speed of sound, ranging from Mach 0.8 to 1.2 (273-409 m/s; 980-1,470 km/h; 609-914 mph). Transonic aircraft nearly always have swept wings, causing the delay of drag-divergence, and are driven by jet engines. The next category is supersonic aircraft. 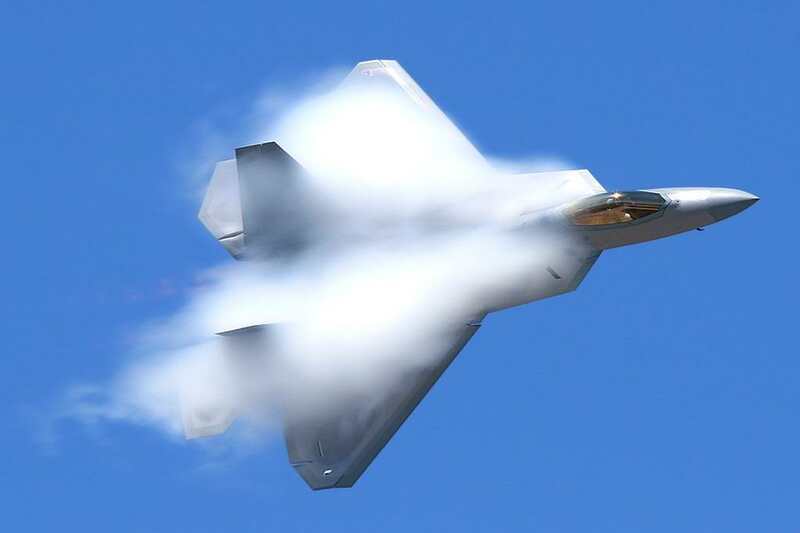 These are craft that can move beyond the compression of air that is the “sound barrier.” These craft generally have a Mach number of between 1 and 5 (410–1,702 m/s; 1,470–6,126 km/h; 915-3,806 mph). Aircraft designed to fly at supersonic speeds show large differences in their aerodynamic design because of the radical differences in the behavior of flows above Mach 1. These include sharp edges, thin wing sections, and tail stabilizers (aka. fins) or canards (forewings) that are capable of adjusting. Craft that typically have this designation include modern fighter jets, spy planes (like the SR-71 Blackbird) and the aforementioned Concorde. The last category is hypersonic, which applies to aircraft that can exceed the speed of Mach 5 and can achieve speeds as high as Mach 10 (1,702–3,403 m/s; 6,126–12,251 km/h; 3,806–7,680 mph). Very few aircraft can move at such speeds, and tend to be rocket-powered (like the X-15), scramjets (like the X-43, or HyperX), or spacecraft that are in the process of leaving Earth’s atmosphere. Another example is objects entering the Earth’s atmosphere. These can take the form of spacecraft performing re-entry, or meteorites that have passed through and broken up in Earth’s atmosphere. For example, the meteor that entered the skies above the above the small town of Chelyabinsk, Russia, in February of 2013 was traveling at a speed of about 19.16 ± 0.15 km/s (68,436 – 69,516 km/h; 42,524 – 43,195 mph). In other words, the meteorite was traveling between Mach 55 and 56 when it hit our atmosphere! Given its tremendous speed, when the meteor reached the skies above Chelyabinsk, it created a sonic boom so powerful that it caused extensive damage to thousand of building in six cities across the region. This damage, which included a lot of exploding windows, resulted in 1,500 people being injured. So how fast is Mach One? The short answer is that it depends on where you are. But in general, it is a speed that exceeds about 1200 km/h or 750 mph. If you’re capable of going this fast, you will be breaking the sound barrier, and people for miles around will be hearing about it! We have written many interesting articles about sound here Universe Today. Here’s What is Sound?, What is the Fastest Jet in the World?, What is Air Resistance?, and What Does NASA Sound Like? For more information, check out NASA’s Article about the Mach Number, and here’s a link to a lesson about the Mach Number.